Ranges from translucent milky-white to opaque white. Handles corrosive liquids and gases with temperature range of -400•F to 500•F continuous use (up to 550•F for short-term use). 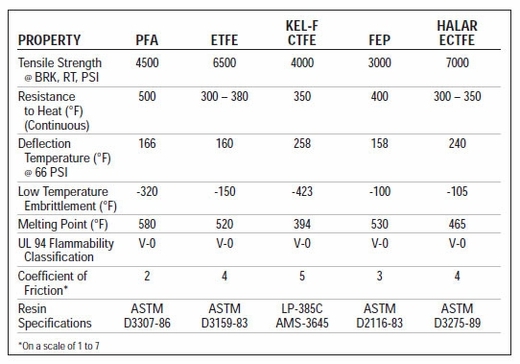 Superior characteristics in cryogenic applications. Stocked in natural (custom colors are available). 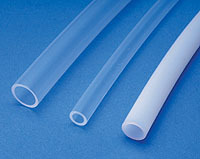 Conforms to ASTM D-3295, Type II fractional inch sizes, Class D chemical tubing.